I was so cold on Friday I actually thought my toes might fall off. The wait for Bourbon County Stout was a full four hours outside in the frigid wind. 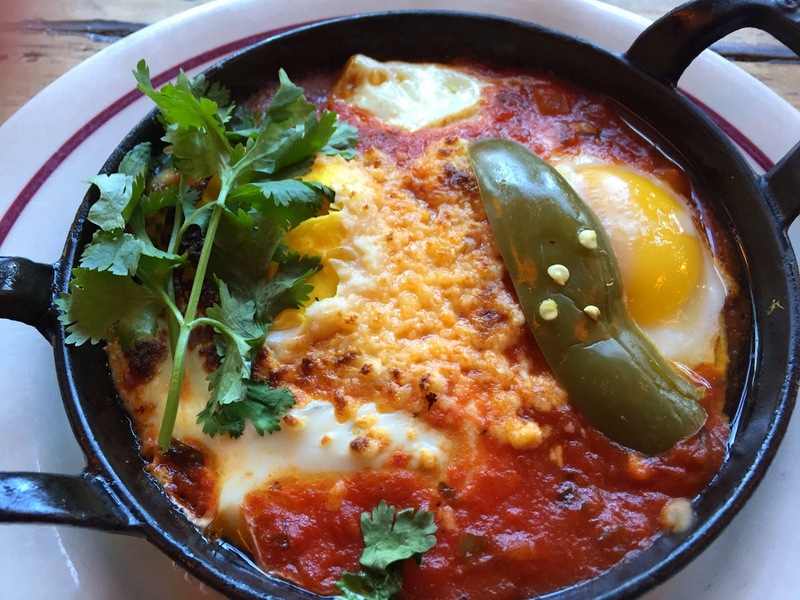 When we finally hobbled over to Schiller's for brunch I honestly contemplated shoving my ice cold hands directly into my Huevos Rancheros. I decided this might actually gross out my companions so I dove in with my fork instead. The eggs were exactly as I like them in the morning; cooked almost completely through but not quite with lots of tomato sauce, cheese and beans. 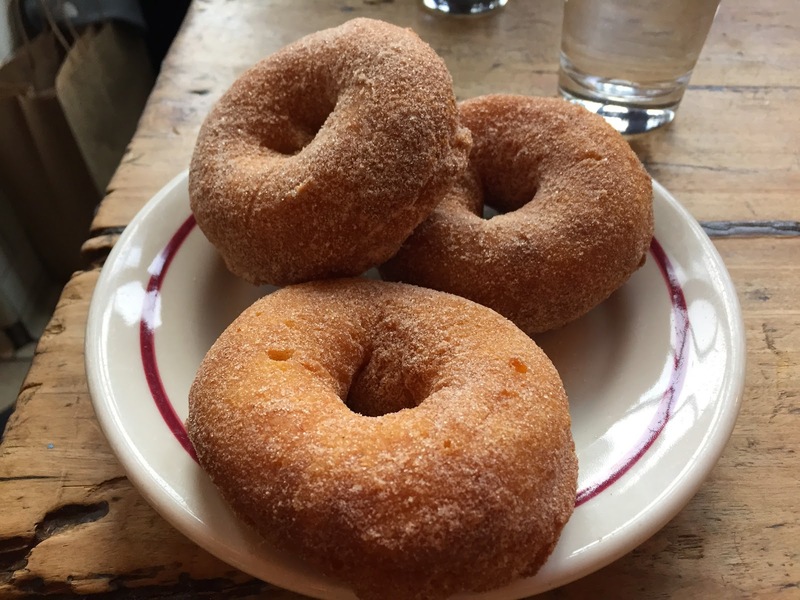 The doughnuts were awesome too. The simple cinnamon sugar topping and slightly crunchy exterior were an oddly satisfying combination. And of course the drinks were fantastic. 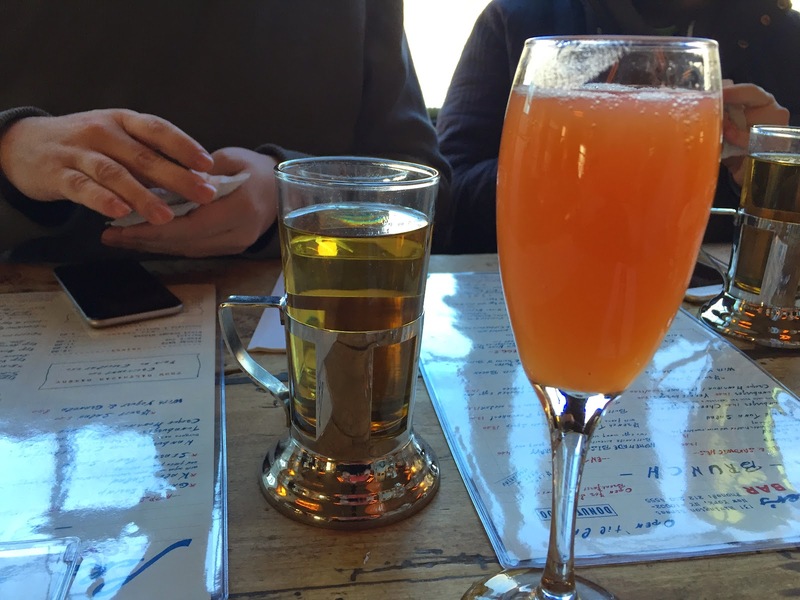 There's nothing quite like a steaming hot cider and Blood Orange Mimosa to thaw out the bones...Black Friday success!